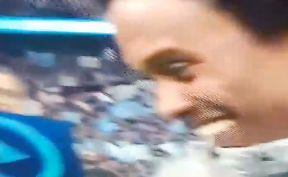 Chelsea winger Willian got over that defeat pretty quickly, with the Brazilian seen laughing just moments after the end of today’s Carabao Cup final against Manchester City. The Blues lost in pretty farcical circumstances, with Maurizio Sarri seemingly losing control of his team as goalkeeper Kepa Arrizabalaga refused to be subbed off after appearing to pick up an injury but then recover towards the end of extra time. Kepa then made a bad error on one of the City penalties, allowing Pep Guardiola’s men to retain the trophy they won last season.